Food cost a lot of money. And if you want to eat healthy, it takes a lot of time and money. Sometimes I just don't feel like taking the time to make a good lunch. Knowing this, I was trying to find a solution. 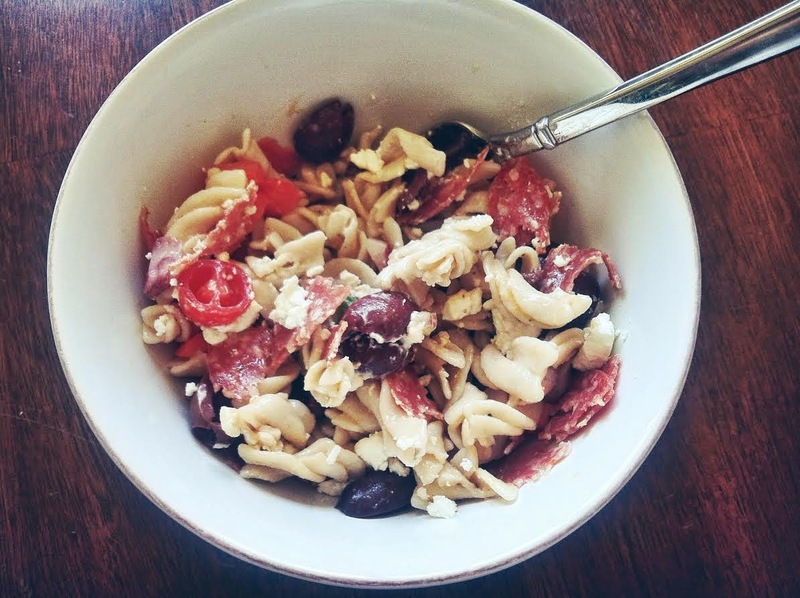 This pasta salad was my solution. I made a huge batch Sunday night and it was lunch for both my husband an me for 3 days. That salad looks fantastic - I need to make that! Tell me about it...It would be really good with an Italian dressing, but I decided to keep it simple. Not yet! The Applegate lunch meat costs almost 8 dollars where we do our grocery shopping, but I actually just discovered that Target had Applegate lunch meat for under 4 dollars. I'm excited to give it a try! Try adding a sprinkle of Italian dried seasoning to your oil and vinegar - then you don't get all the super heavy dressing from a bottle, but the Italian taste. YUM! !